Not many detectives stumble across a crime in the midst of a late-night tryst. But that's exactly what happens to Lavinia Lake and Tobias March, the prickly and passionate pair from Slightly Shady and Don't Look Back, when their weekend getaway at a posh country house turns into a full-fledged manhunt for a killer who targets wealthy older men who are about to wed young beauties. 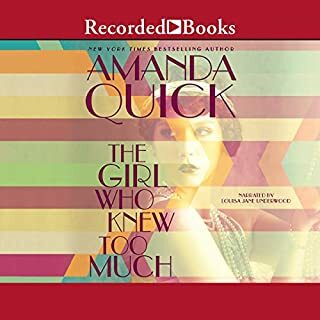 With all the intrigue, humor, and sizzling dialogue that make up her previous best sellers, Amanda Quick delivers a beguiling period romance filled with mystery as well as charm. 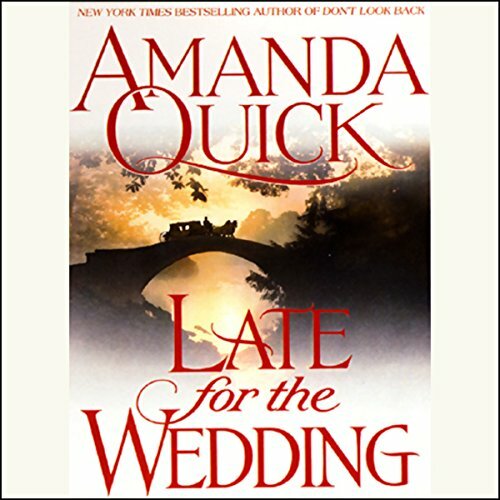 ©2003 Amanda Quick (P)2003 Books on Tape, Inc. I enjoyed this sequel very much. The narrator is a new favorite. A fun romantic/mystery/comedy. If you could sum up Late for the Wedding in three words, what would they be? Imogen since she portrayed a strong, principled, passionate and smart woman; very relatable even to our modern women. What does Josephine Bailey bring to the story that you wouldn’t experience if you just read the book? Hey tone, expression and accent brings the book alive. I can easily imagine being in the Old English City and part of the Ton. If you could rename Late for the Wedding, what would you call it? 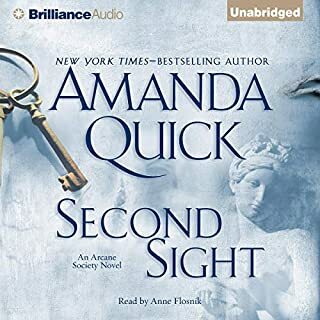 I absolutely love Amanda Quick.... Was introduced at the Roanoke Public Library in 1995 and I've been a fan since. 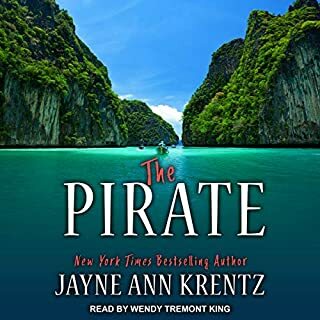 The books do come alive when narrated, especially in an English accent... Audible has blessed me since I now have unlimited access all the way in the Caribbean. Amanda Quick always writes books that are fun, light reading. They're not Pulizer, but they ARE enjoyable.....!!! Delightful listen. The mystery was very nicely constructed. I loved the returning characters as well as a couple of new ones that were introduced. The story took some nice twists and turns and ended happily. The narrator does a great job of creating the characters. Worth the listen. I'm sorry the next Tobias and Lovina story hasn't been written yet. 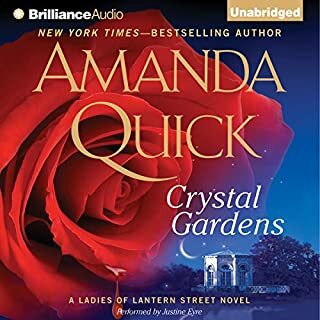 I am a Amanda Quick groupie and have read and listened to so many of her books. I really liked this narrator. She did great with the characters! This is another murder mystery featuring Tobias and Lavinia. I liked this book the best featuring these two. I thought it was clever, fun and it keep my interest as well as we always enjoy the love aspect between the two of them. Love Ms. Quick's humor, kept it lively. another outing with this engaging pair. I do wish Quick would make this her last macabre book for a while. the subject I was never very interesting. Enjoyed this series a few years ago and liked them even more on the second listen. This started quite well, but I soon got bored with it.